Fintech continues its momentum in Asia. 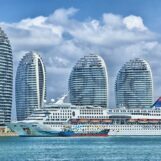 In the first half of 2018, fintech companies in the region raised US$16.8 billion in funding with China and India dominating the top 10 deals, and blockchain and artificial intelligence (AI) remaining key priority areas for fintech investors in addition to insurtech and regtech. 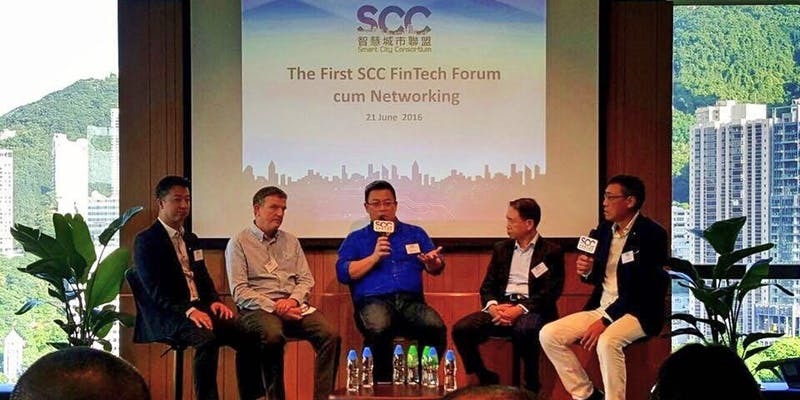 The Fintech Committee of Smart City Consortium (SCC) is organizing a networking event focusing on blockchain technology as the critical driver for fintech development in the region at the PH3, an event venue operated by the social enterprise operated by the the Hong Kong Federation of Youth Group (HKFYG) in Wanchai. 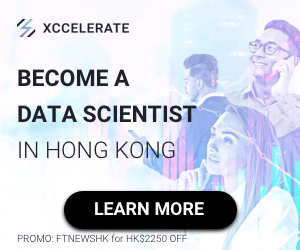 Together with the co-organizers, Start Hong Kong (StartHK), Hong Kong Blockchain Development Association (HKBCDA), Hong Kong Internet Finance Association (HKIFA), the Association of Cloud and Mobile Computing (ACMCP) and the major sponsor Elevate Blockchain Advisory (Elevate), the event will let participants experience and gain expertise from the traditional financial service sectors and the emerging fintech startups ecosystem. 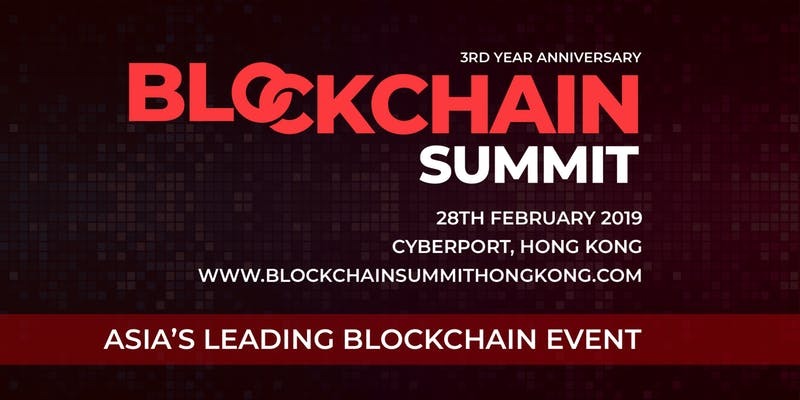 The Hong Kong Blockchain Association will hold the Embracing Supervision and Promoting Innovation new year summit at the Financial Hall of the Hong Kong Stock Exchange on February 21st, 2019, and will continue to the 22nd all day at the Science Park, Cyberport, CoinSuper HQ. 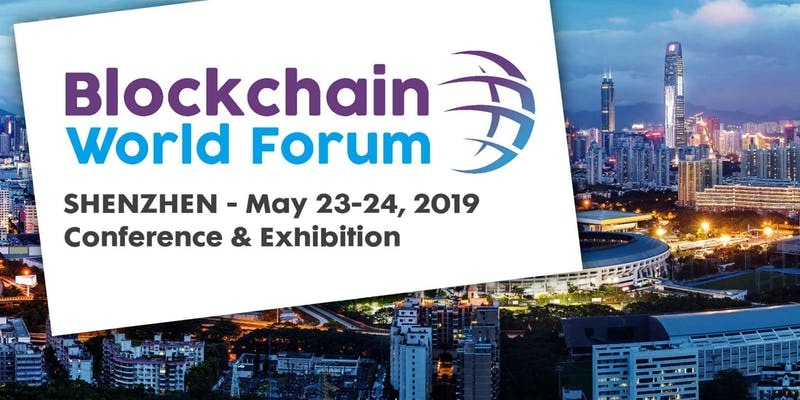 The industry forum is set to bring together government officials, industry leaders, and well-known funds, and will focus on Hong Kong’s emergence of a global blockchain hub. The Finovate event series is one of the key fintech events in Hong Kong showcase cutting-edge banking and financial technology through a unique blend of short-form demos and key insights from thought-leaders. Along with the demos, last year’s Finovate Asia event featured six tracks focusing on artificial intelligence and blockchain, open banking and the API ecosystem, payments and lending, digital transformation and customer experience, and more. 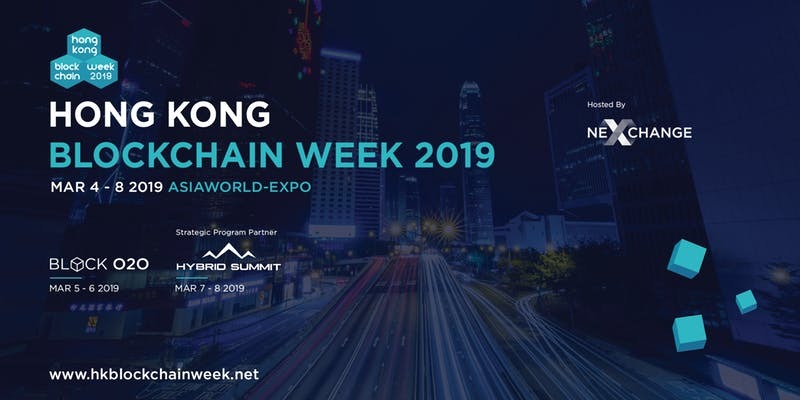 In 2018 it was held as part of the Hong Kong Fintech Week. Touted as the world’s first cross border fintech event, the Hong Kong Fintech Week was held at both Hong Kong and Shenzhen last year. 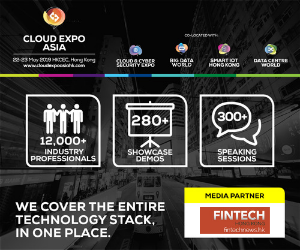 Attended by over 8,000 fintech professionals, regulators and founders the event is a must-attend for anyone interested Hong Kong fintech scene. 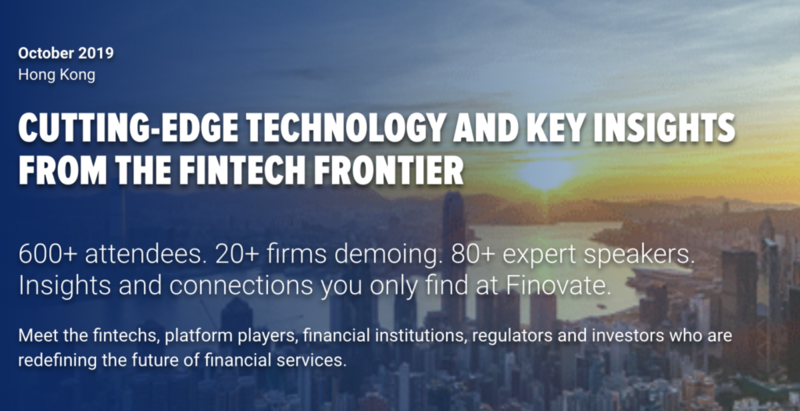 Last year’s Hong Kong Fintech Week is presented by InvestHK and organized by Finnovasia and Finovate. 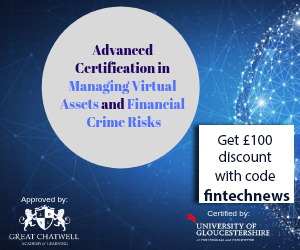 Partners include the Hong Kong Monetary Authority (HKMA), the Securities and Futures Commission (SFC), the Hong Kong Insurance Authority and Hong Kong Exchanges and Clearing Limited. 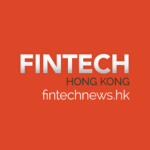 Details of this year’s Hong Kong Fintech Week has yet to be announced.